Jon Jones vs. Stipe Miocic?!?! Oh hello Heavyweight Jon Jones. The MMA world has been waiting for you. From the makes too much sense department, Jon Jones may be finally moving to heavyweight. Sorry for those of you who wanted to see Bones beat up on a few goofy or very Brazilian light heavyweights in 2019. 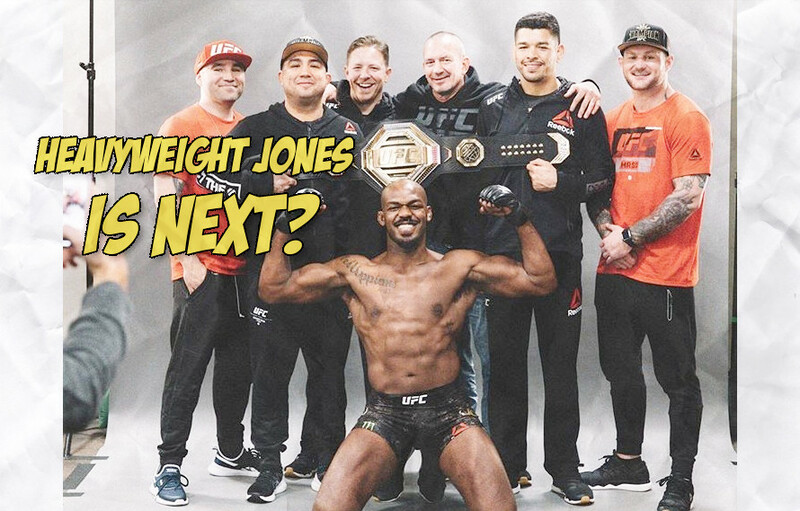 The latest rumor making the rounds is the UFC is in talks for Jones to move up to heavyweight as early as this summer. Jones first opponent for his brand new weight class is also rumored to be Stipe Miocic. Everyone knows Stipe Tapped, but Miocic is a former UFC champion in the need of a big payday. Where has Miocic been for the past several months? He has not been fighting, but instead has devoted the majority of his time to trolling Daniel Cormier. For reasons everyone could have seen coming, Stipe has gotten nowhere with his smack talk on DC. Yeah, the same DC that destroyed Miocic in their super-fight back in 2018. So Miocic gets a money fight he’s been begging for and Bones gets a legit challenger in his first fight at heavyweight. The UFC needs headliners to sell pay-per-views…..wait, that new deal with ESPN. The UFC’s new deal with ESPN pays them a lot of money and makes the promotion lean less on pay-per-view buys. From the sounds of Jones Tweet it seems the fight is imminent. Again, Jon Jones vs. Stipe Miocic?!?! Come on MMA Multiverse. If the Fight Gods have any mercy on the souls of MMA fans, they will make Bones Jones move up to heavyweight.